Blockchain technology is not something one might readily associate with the country of Pakistan. Yet, one man is changing that antiquated concept with his forward thinking. Muhammad Ahsan Khan, co-founder and director of the Blockchain Forum of Pakistan, founder and CEO of Go4 Blockchain, spoke to Fernando Sanchez at Blockleaders about how the country’s blockchain ecosystem is rapidly evolving. The country of Pakistan attained independence from British rule in 1947, thus becoming its own sovereign state. This independence led to dramatic changes in the way the country was governed, which brought about its own set of challenges and conflicts and worldwide successes and recognitions. Modern Pakistan remains a challenging territory where public infrastructure, and particularly internet access, is not quite up to international standards. Just under 20% of the total population of about 220m people have access to broadband services, for example. The under-development of services has led to the country lagging behind in the adoption and implementation of modern technologies, such as blockchain. This has created both a void and an opportunity for a number of entrepreneurial organizations and individuals to spearhead a change in how Pakistan and its people work towards becoming a blockchain entity to be reckoned with. I felt curious as to how countries like Pakistan are engaging with blockchain and, furthermore, I wanted to know how the technology framework compared with its European counterpart. I wanted to know the people who work tirelessly to bring transparency and innovative solutions to their society. Muhammad Ahsan Khan (MAK) is one of these forward-thinking entrepreneurs. 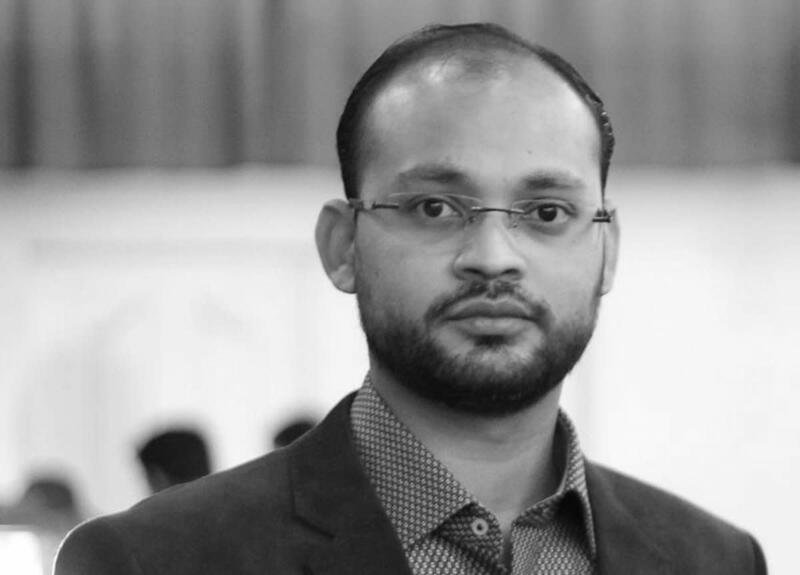 A Pakistan native pursuing a Masters of Science at MIT through distance learning, and a specialization in blockchain technology granted by the University of Buffalo, followed by a Bachelor’s degree in computer science from Pakistan University, he is the co-founder and CEO of Go4 Blockchain and co-founder of the Blockchain Forum of Pakistan, MAK has dedicated a lot of his professional life to working, advocating, and teaching in the blockchain ecosystem. I had a pleasant chat with this young man on a sunny Saturday morning. We were thousands of miles apart, but the magic of modern communications enabled the synergy. As I discovered during our conversation, blockchain technology is not high on the list of priorities of the Pakistani Government but there are a number of people fostering the emergence of blockchain-powered projects in the country. It is important to highlight that cryptocurrencies are currently illegal in Pakistan, so the ecosystem remains difficult. MAK spoke candidly about the challenges he and many of his colleagues face on a daily basis while advocating for blockchain. I realized that a lot of these issues are associated with the fabric of the country itself. “Let me give you a bit of background about Pakistan. After becoming a sovereign state shortly after the end of the Second World War, Pakistan had no strong leadership and no strong institutions. Right now, we still lack transparency in the governance process and issues of cronyism where family members of politicians or bureaucrats may get preferential treatment. We have electronic and digital governance but not like the West. I must say it’s poor. A lot of problems remain in digital sovereignty. We have little or no cybersecurity, for instance. “As a Pakistani citizen, I feel that blockchain technology can resolve a lot of the issues inherent to my society. For instance, the Know-Your-Customer (KYC) process in banking may take up to 14 days, which is unacceptable. Or, opening a bank account may take up to seven working days. “I’ll give you another example. If you go to the Land Registry, you may find that some files have multiple owners, as happened to one of my family members. We realized that the ownership documents had been tampered with. Blockchain technology will eliminate these issues. “For instance, I pioneered the idea of using blockchain technology to aid transparency in the voting process, as vote rigging had been an issue before. Muhammad is a highly educated man and it shows. His resume is quite impressive, as is the sheer number of projects he’s currently involved in. He is a certified instructor and Master Trainer for Certified Blockchain Professional (CBP), for instance, which enables him to share both his knowledge and passion for blockchain with others. This train of thought led to discussing the youth of Pakistan in the present day and how that demographic compared to Muhammad’s own past. I wanted to know more about how he felt about his own education and that of those around him. “I was a technology enthusiast from a very early age. I developed a website for one of my school assignments at the age of six or seven, for example, using FrontPage. Afterwards, I helped transform my family’s businesses to adapt to the digital era. Right now, we have many businesses, and I have helped them to transform their communications, messaging, paperwork, etc., through digital means. So I became involved with technology very early on in my life. “I have an entrepreneurial mindset, and I don’t believe in these degrees, or papers. What I do believe is that you must have a skill. As a human being, you must have a skill. “Pakistan is a country with so much potential. There are about 100m young people, who are educated and can be technology-enablers. They’d be aware of Amazon, Paypal, and most other big corporate names working in the technology industry. So I personally am looking forward to bringing something for them. I, as an early adopter of blockchain technology here in my country, approach them and they approach me to learn. “The youth of Pakistan now understand technology. They own smartphones, tablets, etc., and I and a number of organizations try to drive the young forward. “Right now, blockchain technology still remains at the upper levels of the technological community. It may take some time yet to reach the grassroots, maybe three to four years. Muhammad’s drive to improve Pakistani society led to his participation in the Blockchain Forum of Pakistan, which is a non-for profit organization whose mission is to promote the adoption of blockchain in the country, with the support of global partners in the public and private sectors. Because of the current legal status of cryptocurrencies in the country, the Forum focuses instead on blockchain-enabled projects such as land reform, healthcare, and KYC concepts for the financial sector. A life spent in blockchain is a life with a brighter future. The future of this technology, both in Pakistan and elsewhere, has great implications for the development and evolution of society. So I wanted to know what Muhammad had to say about how he sees blockchain evolving in the decades to come. “The future of blockchain is very promising, both in Pakistan and elsewhere. Here in my country we now have a new Government that is very receptive to new technologies, and our hard-working minister for IT is also in favor of implementing blockchain projects. So the implementation of blockchain at institutional level will radically change the way society operates in Pakistan, removing many of the issues such as lack of transparency and manipulation of records that are so prevalent at the moment. “The future of blockchain is actually a human side, about how to provide a transparent, tamper-proof, autonomous, and simpler access for human interaction. “Blockchain is a protocol that allows people to collaborate with one another in a very secure and transparent medium, where your privacy is never compromised or controlled by an organization sitting thousands of miles away. An example of this is Google or Amazon controlling our lives through the data that we, voluntarily or involuntarily, give to them. Blockchain allows you to control your own data. When you think about it, it’s all about data. Ten, twenty, or twenty-five years from today, data will become the new oil. “With blockchain, there are no borders, people can collaborate, to carry out business transactions, to send and receive money, to bring about transformational changes in our lives, without the intervention of Governments or any third party. The traditional image of Pakistan is that of an under-developed, mostly rural country with a rugged and sparse landscape. A faraway place, one might say. The reality, however, is that Pakistan is evolving in leaps and bounds as far as blockchain is concerned. The Government supports such enterprise, and Muhammad is there at the forefront of it all. His knowledge, expertise, and desire to share all of it with students and other entrepreneurs will set the example to follow for the next generation of blockchain-aware Pakistani youth. You can follow Muhammad through the Blockchain Forum of Pakistan page, Twitter, or his LinkedIn profile.